High school sweethearts and graduates of Fort Worth Eastern Hills H.S. ; Danny and Mary have been married since 1973. Mary’s passion is primarily serving her family and the LORD Jesus Christ. 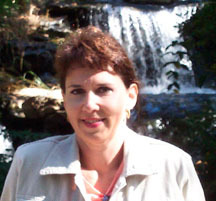 Much of her daily activities include sharing, along with their daughter Carol, the responsibility of raising their only grand-daughter Aubree Danielle, an Honor Society student, cheerleader and member of the volleyball & softball teams where she attends school; Fellowship Academy in Kennedale, TX. When time permits Mary assists at the piano store with the phone, bookkeeping, and various other responsibilities. Mary and Danny enjoy their time together drinking imported coffee and taking the opportunity to travel to Costa Rica, San Antonio, TX and just about anywhere the Carnival Cruise Lines will take them. Patrick McBrayer honed the necessary skills of the craft through the expertise and instruction from a variety of these mentors. 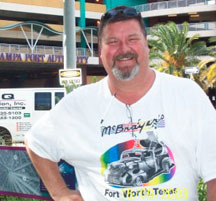 Since childhood Patrick has worked the various shops and sales floors conducted by the McBrayer Family. Initially, Patrick helped his brother Danny with moving duties, but as he grew into adolescence, he began assisting in the re-finishing, re-stringing and re-building of pianos. 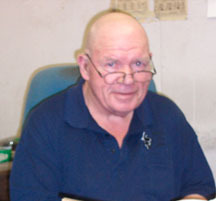 Today, Patrick is an essential and integral asset to the family business and maintains responsibilities within every area, including the moving and restoration of pianos. Patrick finished his schooling at Arlington Bowie High School in 1983 and soon after joined his brother Danny in a stint playing semi-professional football for the “Arlington Drillers”. Patrick was playing at an all-star level at the defensive cornerback and safety positions until a knee injury forced an early retirement. Currently, one of Patrick’s favorite ‘hobbies’ is operating professional camera equipment. He was awarded the distinguished honor of “The DCTV 1999-2000 Cameraman of the Year” while assisting his and Danny’s father, Dan Sr., in the production of Dan’s cable television program “Joyful Praise” which is currently televised on many local and national cable channels. Weldon Lovett is a second generation piano man who has worked alongside the McBrayers since 1958. 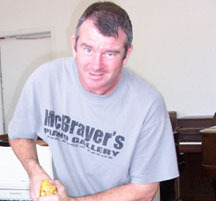 The McBrayers are beyond pleased to have a piano technician the caliber of Weldon upon their team. Weldon is not only a man of great experience, but of continued passion for what he does and has in fact trained his daughter Traci to assist him in the many areas of technical expertise required in the field of piano restoration. In every sense of the word, Weldon defines what it means to be a world-class piano craftsman. From Pizzaman to Pianoman… That’s right. 1978 found Jody Ray (cousin to Danny) fresh off of a stellar high school basketball career in Angleton, Texas. His first job was flipping pizzas and it wasn’t long before he was managing the kitchen of that same local Italian eatery in Brazoria County. Long hours of dedication on the hardwoods and the work ethic that was demanded working in that kitchen laid the groundwork necessary for Jody as he soon entered the world of piano refinishing and rebuilding. Even in light of their youth at that time, Danny saw in Jody what he believed could be the making of a pianoman and offered him a position, on the truck of course, moving pianos. It wouldn’t take long however before Jody was picking up a sanding block, helping assemble a refinished piano, and performing countless other tasks that are needed around a piano shop. His passion grew and a career was born! 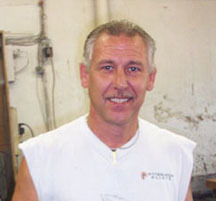 Since that time Jody has steadily increased his knowledge and expertise in piano rebuilding and refinishing and as the Foreman of North Texas’ largest & most experienced piano shop Jody is considered one of the piano industry’s ‘Top Guns’! Paul Hill comes to our team of professionals from the ranks of Verizon retirees. Paul’s piano tuning skills come as though born from necessity as a Club playing musician early on his professional career. Paul states he learned to tune the club pianos before the club gig and his interest in the skill increased. Paul later joined ranks with a close friend and together they acquired a piano store where Paul began to hone his craft. As his skill level increased Paul earned membership in the Piano Tuners Guild as an Associate and went to work fulltime tuning for the prestigious Arnold and Morgan Music of Dallas, TX. Paul went on to tune in other locales in Texas and New Mexico before settling back into Arlington, TX in the mid ninties where he landed career employment with Verizon while tuning pianos in his off time. 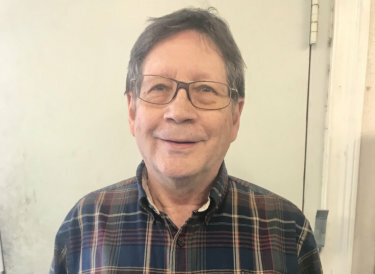 Paul has tuned pianos part time for McBrayers since 2011 and full time since his retirement from Verizon in 2015. Frank began his career as a nineteen year old apprentice with a Steinway dealership in Dallas, Texas in 1974. Frank’s 45 yrs of experience as a piano tuner-technician since includes concert grand preparation, ie. action regulation, string prep, tuning-voicing as well as the total rebuilding of both grand and vertical upright pianos. Frank has performed tuning and technical services with many local as well as National institutions with his focus having been to professionally prep instruments for concert scenerios ranging from jazz to classical situations. Frank’s furthering educational studies include Yamaha’s Little Red School House and Frank holds Yamaha, Inc. certification and authorization to service Yamaha Pianos and Yamaha Disklavier pianos. 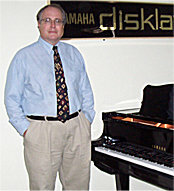 Frank dutifully maintains pianos in homes, schools, churches and wherever there is a piano needing a craftsman’s touch.